This has been quite the week. I’ve transformed into quite the cooking queen and it’s EXHAUSTING. The prep, the cooking, the clean up. Oy vey. I have to say, after all this cooking I really and truly feel SO much happier now for Cinderella knowing that Prince Charming took her away from all of that and into a beautiful castle where she got to wear a pretty sparkly dress. Although I must admit that even though this whole using the things in your kitchen thing was tiring it was also incredibly fun. I find myself spending far too much time looking at new recipes, pondering how often I will really use Tapioca flour in the grocery store and if I should buy it (Spoiler alert: I did). And taking inventory of what kitchen items I really do have (a lot) and what I need (a bread pan for Paleo Challah! Because Challah is delicious). But today, it’s Friday and on Friday like any good Jew, we rest. And by “rest” I mean we I return to my store bought ways and so for my Friday Finds, I don’t have a recipe or a cooking story fail from the week (while there are plenty) but rather a few of my favorite store bought finds. Being Dairy Free 92% of the time, I’ve convinced myself that I don’t like or need cheese in my life. I save my splurges into the world of dairy mostly for things like Ice Cream and Fro Yo because… well does that really need an explanation? However, earlier this week while shopping ingredients for a Cauliflower Crust Pizza (blog later!) I found myself in the cheese aisle. Most cheese substitutes include things I don’t want in my life like rice or soy etc but then I found a cheese (or shall I say “cheese”) made of almonds! I had heard of this mystical nut cheese and even read recipes about it but puh-lease folks– making my own nut cheese seems far beyond my culinary abilities. But a store bought version? Suddenly all my childhood memories of Bagels and Cream cheese, Pizza and pasta came flooding back to me. Suddenly I was feening for the semi-soft stuff. 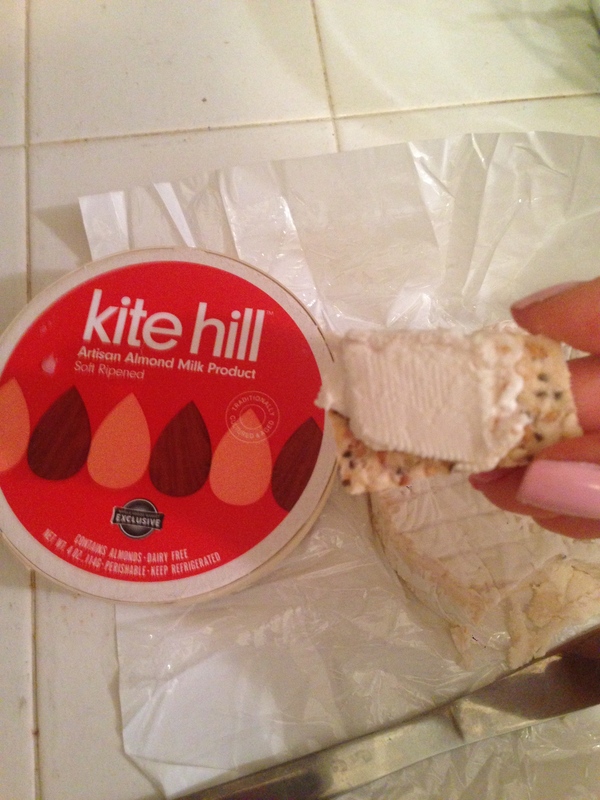 Made of only almond milk, salt enzymes and cultures it looks a lot like soft cheese… Which isn’t that surprising seeing as you can make milk out of almonds, so why NOT cheese?! GOODNESS GRACIOUS GREAT CHEESEBALLS OF FIRE THIS IS AMAZING. 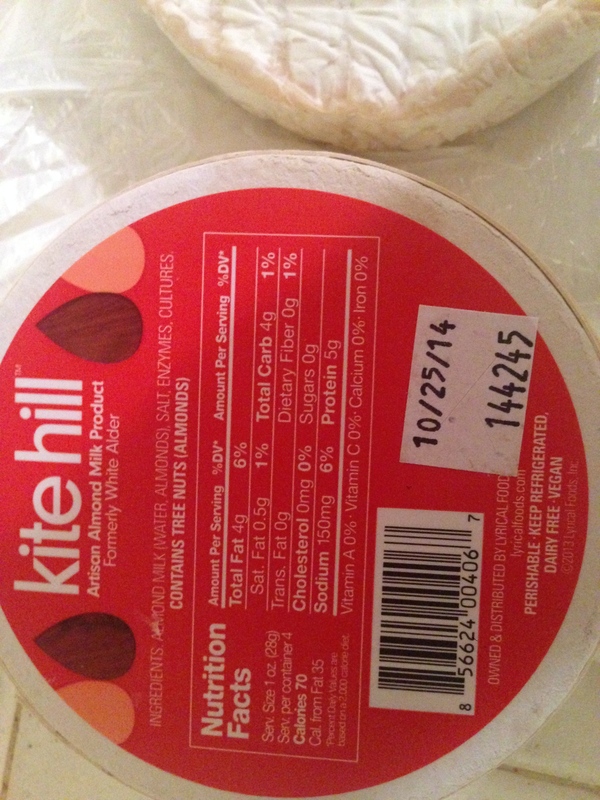 As I quickly learned over the rest of the week there is nothing this cheese isn’t good on. On a cracker? good. On a piece of Paleo bread? Good. Spread on some Veggies? Also good. By itself (while standing over the counter in my PJS?) DELICIOUS. 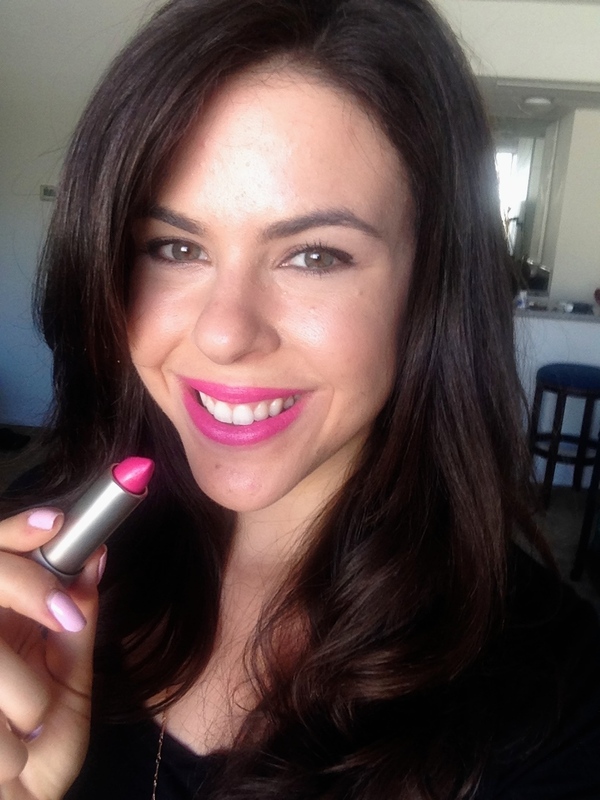 Moving Right along… from eating cheese to saying cheese, this week I found some fab new lip colors to help your smile go the extra mile. Yes I’m aware I just typed the most cringeworthy sentence ever but it’s Friday just go with it. 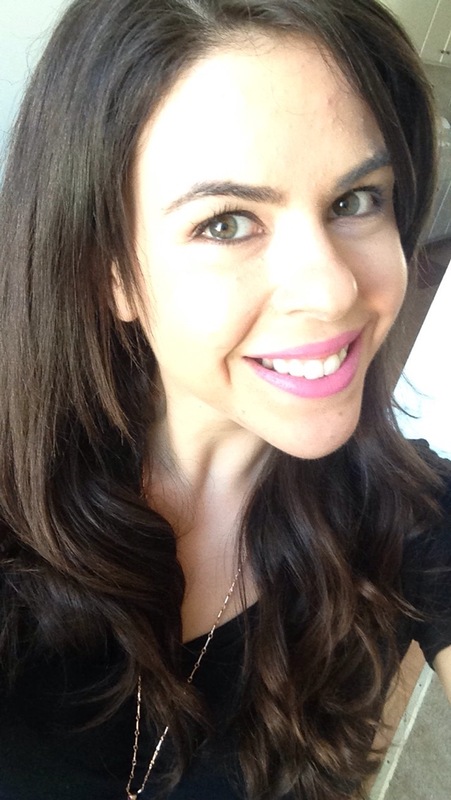 The Detox Market here in Los Angeles is no stranger to this blog. I’ve found tons of products there that I LOVE and feel good about using because there’s nothing harmful lurking in their ingredients. 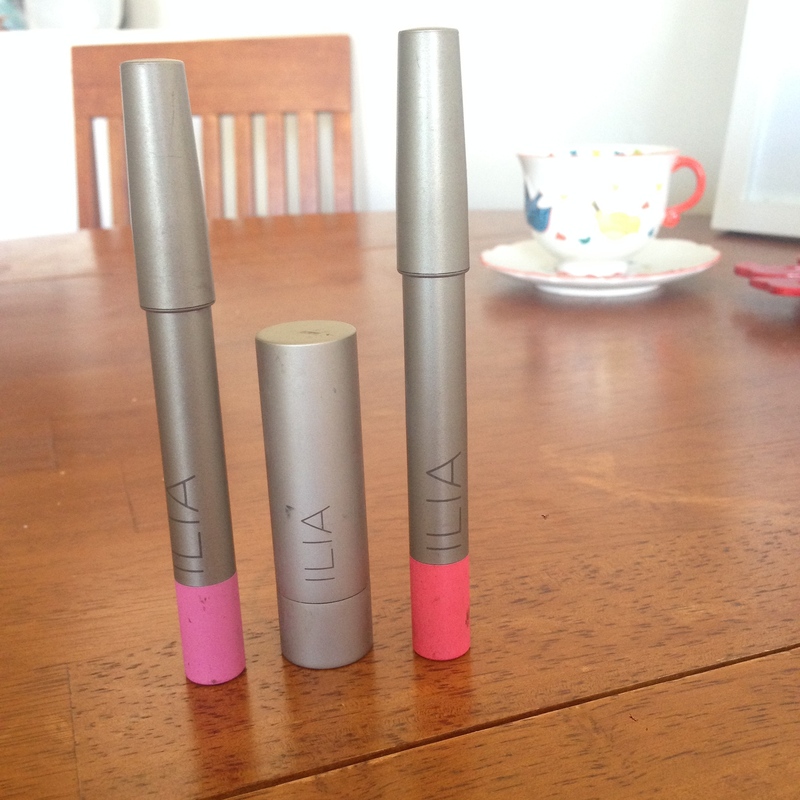 This week I decided to try out some of the lip colors they had from a brand called Ilia. I have to be honest, while I try to go the au natural route in most areas in my life, I’ve found makeup the hardest one to say buh-bye to. Mostly because a lot of the better for you stuff I’ve tried does not look as good. But I tried these three colors and can happily report I adore them all! 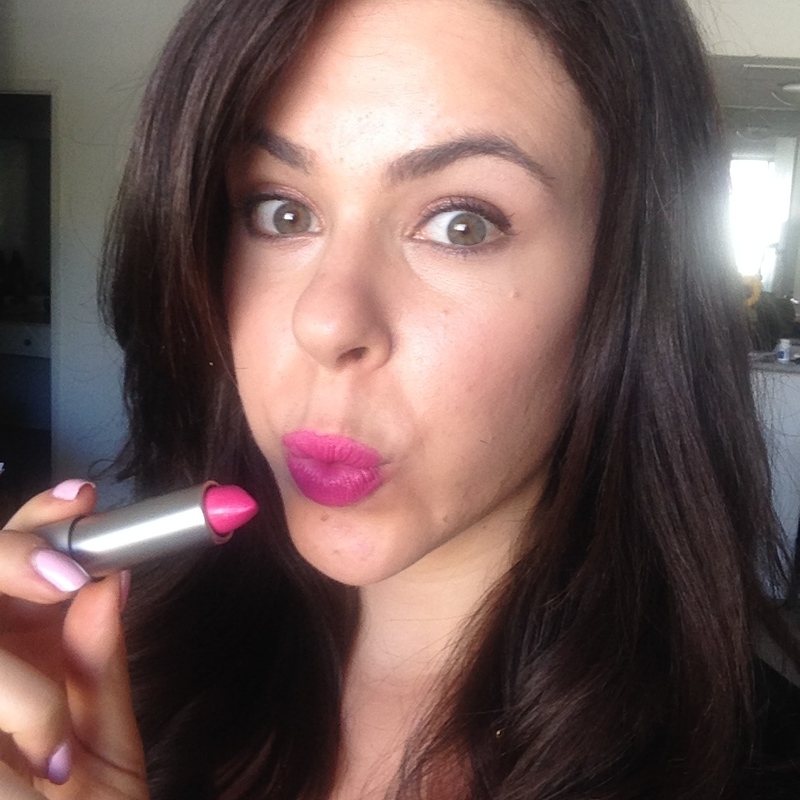 The Lipstick Crayons go on super soft and smooth and feel like a lipstick meets gloss (minus the sticky part of so many glosses- Boys of the world, rejoice!) 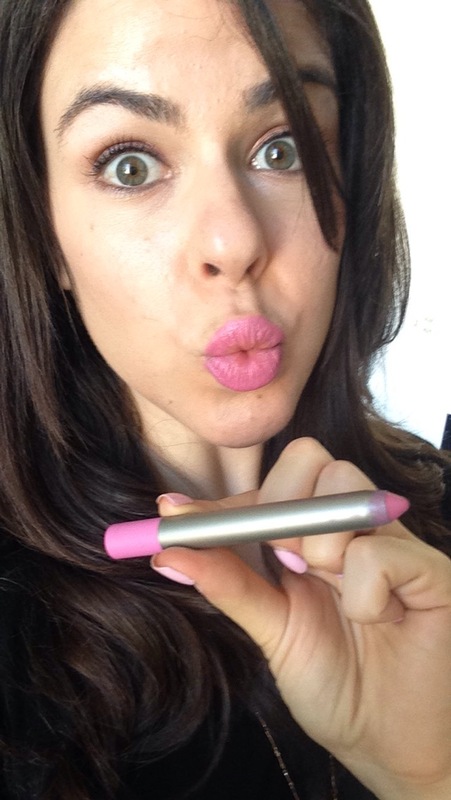 Plus I love that you can use the crayon to trace your lips perfect because really who likes lipliner?! This is a fun coral color that is the perfect pop of color without being tooooo bold. 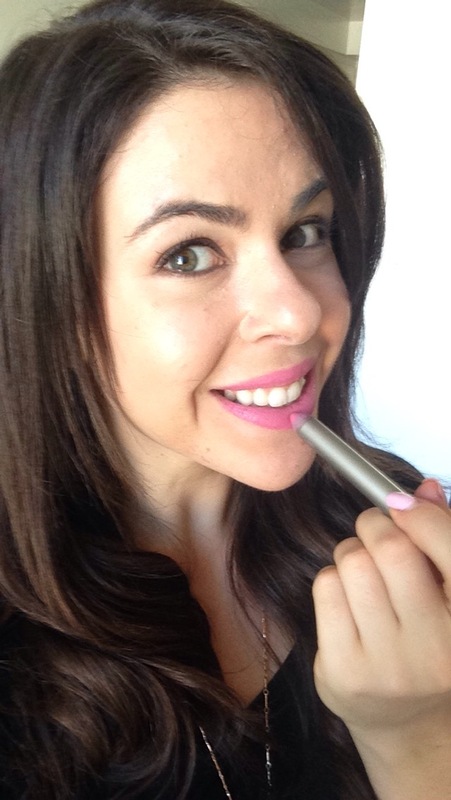 Any lipstick that inspires me to sing along to “Call Me Maybe” while putting it on is a winner in my book– but I also like this soft pink feel. Normally I am hesitant that soft pinks will be too washed out but this is the perfect soft, romantic and pretty pink. I imagine wearing it with a sun dress and an iced coffee in my hand, charming the world with my soft pink pout. 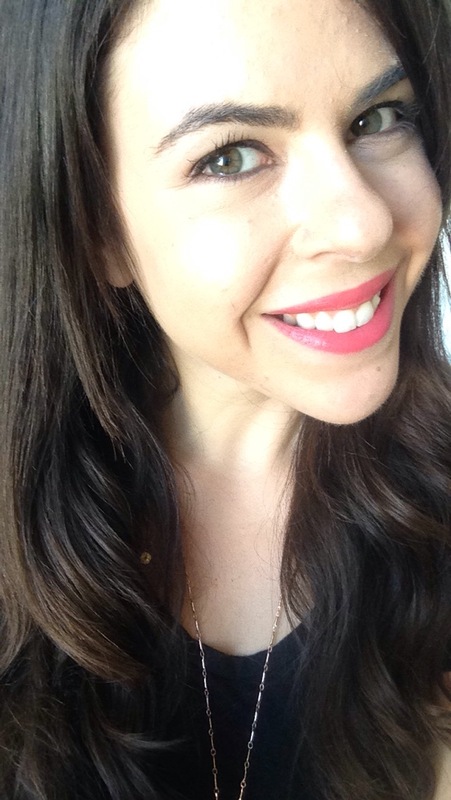 I want my own guardian angel to be wearing Neon Angel because it’s one awesome bold lipstick. You put it on and you instantly feel like a pop star (or at least I do) so from here on out you can call me BritneyDemiChristinaSelenaAriana. Neon Pink is a fresh play on the bold lips of late – lots of reds and oranges out there but this bright pink is a pure winner! 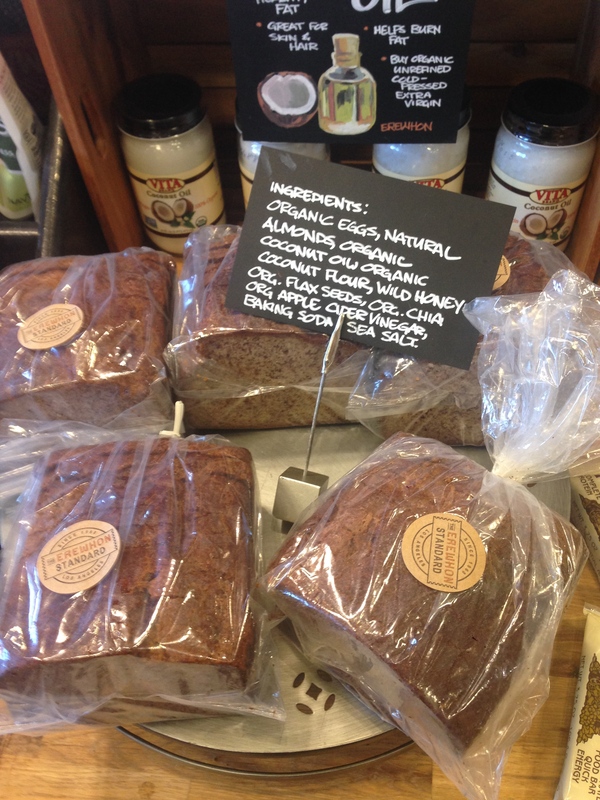 I’ve made some great new paleo goodies myself this past week but as the saying goes, Make New Friends (the Vitamix) and Keep The Old (Erewhon) and this week I found one of the best finds EVER at Erewhon- my old tried and true best friend… Paleo Bread. at $15.95 for a 1/2 loaf you might think this bread is speckled with gold. It is not. But it tastes absolutely fab. It’s dense, it tastes like bread and it has a twang of sweet (but not too sweet) and I have to say, I’m not mad about this pricey purchase, not mad at all. Have any finds you love and adore? Share them with me!! Here’s to a great weekend!